What is the source of this defect? The tooth tests vital and this radiographic view was the foundation for the referral generated from an annual hygiene appointment. 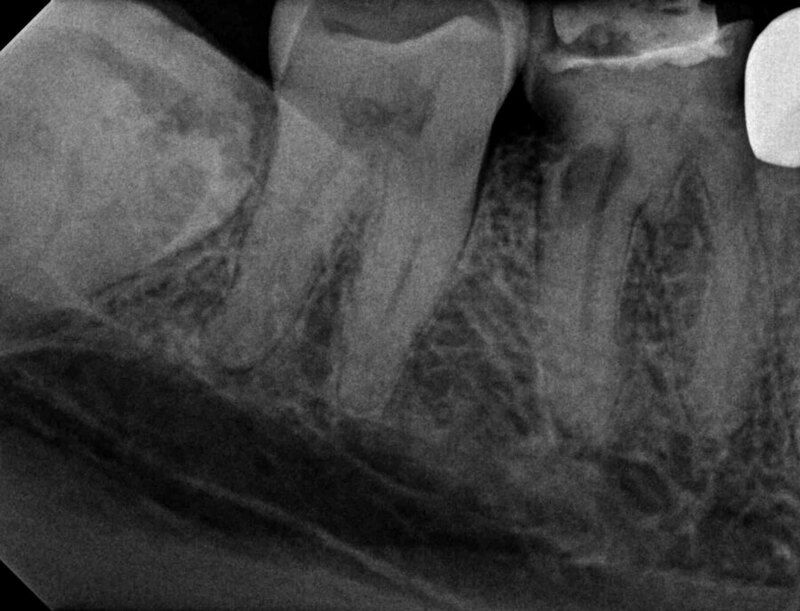 The following CBCT slice demonstrates the “extra canal” nature of the defect perforating the lingual external root face about 4mm. below the osseous crestal height. 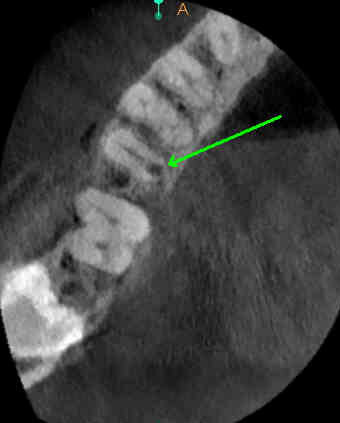 The sagittal CBCT slice demonstrates a buccal-lingual extent of the defect. “Extra canal invasive resorption” described throughout the dentinal literature by a number of different nomenclatures remains a destructive, often asymptomatic process. The defect will need to be treated by debridement, and restored in order to retain a tooth affected by this process, often in conjunction with conventional endodontic therapy. The above case was recommended for extraction with an implant replacement. 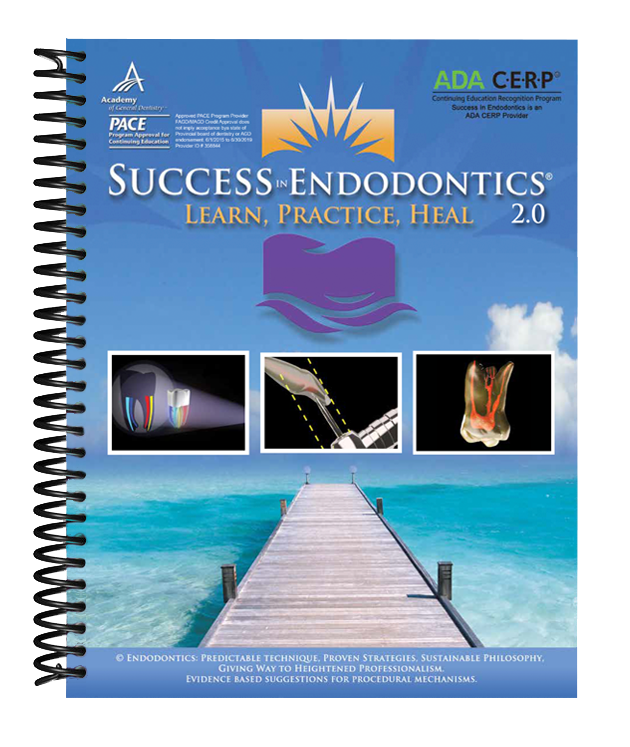 For numerous hours of powerful educational and demonstration videos, along with a companion-training manual of tremendous endodontic practical information, purchase our ADA-PACE approved instructional program, while earning 16 CE AGD-CERP units. I’d love to hear your thoughts on this case.